These questions come up quite a bit. I wish I could categorically say absolutely and the value rises by ?% of the entire home. I wish I could say that. Instead, I will defer to the appraisers favorite appraiser saying “it depends”. Usually the answer to the first question is yes. However, there are some circumstances where it may not be so obvious and it is all on a case by case basis. However, that is NOT the norm. Now, the second part of the question is much trickier. Again, the old standby, “it depends”. The reasoning behind this is that many factors come into play such as size of the home (to be called GLA from here on), Quality of the home, age of the home, location, is it common for the neighborhood etc. First, let me start with GLA. Gross Living Area is the total area of finished, above-grade residential space; calculated by measuring the outside perimeter of the structure and includes only finished, habitable, above-grade living space. A more detailed description can be found at the American National Standard For Single-Family Residential Buildings – Square Footage-Method For Calculating: ANSI Z765-2003 for exactly how GLA is calculated and what is considered to be GLA. In some cases such as split entry or Bi-level as they are known in other parts of the country and split level homes the basements may or may not be completely below grade. In a situation like this, an appraiser will normally consider this area as basement regardless if it is sitting above grade or not. It would then be compared to like properties and compared similarly. This is where Allegheny County and Washington County seem to have a disagreement with the rest of the country and more information on that matter can be found on our Data Flaw In Regional County Assessments page. So getting back to how much will by finishing off my basement raise my value question. Again, that depends on many of the factors I described above along with is this just a game room or is there also a bath or a powder room? Is there also a bedroom? So you see too many questions for a black and white answer. However, I will throw an answer out that I have after all my years in the business that I just thought about recently and therefore the reason for this post. I once did an appraisal for a fellow years ago who sunk $70,000 into his basement. It was beautiful, a game room, bar, bedroom & bath. Needless to say he wasn’t very happy with the appraisal results. I can best describe installing a game room, bedroom, bath and whatever else fairly similar to that of an in ground pool in our local climate. Will you find utility? Will you enjoy it? Do you need or desire it? Then by all means improve your basement to give you more room to spread out and enjoy. 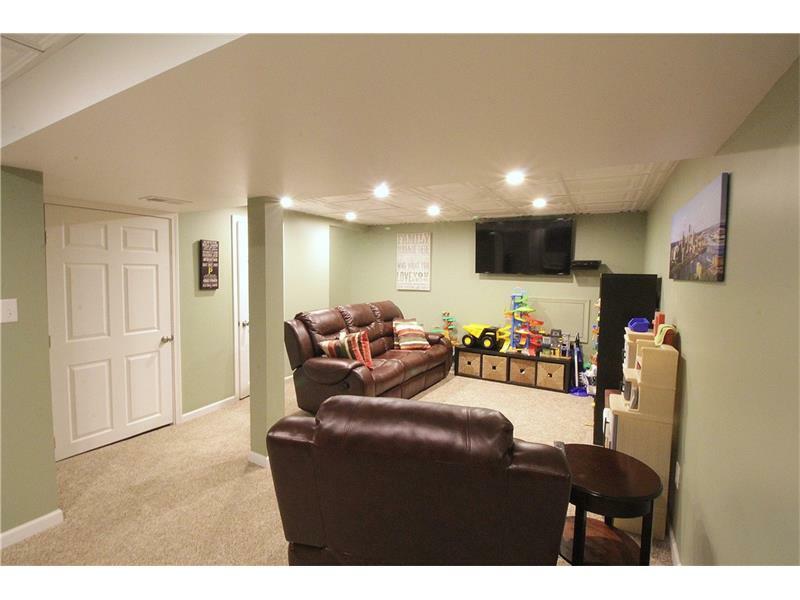 Are you going to finish your basement on a purely investment rational? Well, all I can say is depending upon how much you were considering on spending, maybe it may be more worthwhile investing elsewhere. I will say however, there is what I call intrinsic value. With a finished basement you will sell your home quicker than without. The additional dollor value will depend on many factors however. Additionally, considering the financial climate we are currently in, you may also want to take a look at how the Banks now look at home values in our CMA vs. Bank Appraisal page. I hope this shed some light on the subject of does a finished basement add value to my home (YES) and if so how much (DEPENDS) and doesn’t make things more confusing. The bottom line is, enjoy if you have it or want to build it. But, don’t expect any great returns at least in our local markets.